5 individuals with cerebral palsy received 12, 30-minute TIMP sessions, 2 days per week for 6 to 9 weeks. 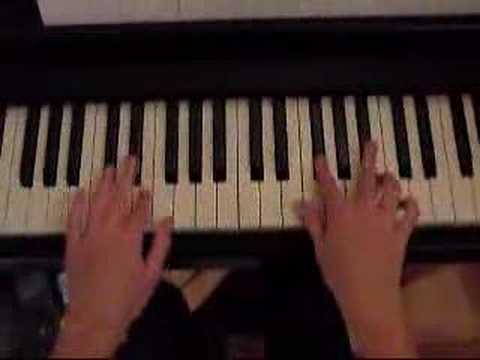 TIMP technique uses instruments (a keyboard in this case) to reinforce functional motor patterns and does not require previous music skills. The music used was selected by the participants, taking the melodic line as the main theme played repeatedly with their fingers. In the second half of the training, extended melody was played to maximize the range of motion among the fingers. Pre- and post-Music Instrument Digital Interface (MIDI) data were used as a measure of hand function. MIDI represents musical information (note, instrument, volume, pitch, expression, tempo, length, etc.) in bits of digital information. Pre-velocity was significantly different from that recorded from 20 typical adults. Post-velocity no longer was significantly different, specifically in the second and fifth fingers. This indicates improved hand function for the adults with cerebral palsy. The use of a wrist pad seemed effective to reinforce the keyboard playing of adults with cerebral palsy. This entry was posted on Thursday, January 2nd, 2014 at 10:43 AM	and is filed under A. ALTERNATIVE MEDICAL SYSTEMS, Art, Music, Dance, Cerebral Palsy. You can follow any responses to this entry through the RSS 2.0 feed. You can leave a response, or trackback from your own site.